Q. Does Animals Away move pets by ground transport or air transport by plane? A. We move pets by air it is the safest fastest and least stressful way to move pets. Many ground pet transportation services take a large number of pets on each trip which adds to more time on the road with many stops along the way. We provide ground services when air transport is not an option. Our ground services are handled on a client by client basis one at at time to ensure the shortest travel time possible. Q. 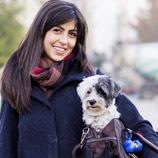 Are my pets transportation costs tax deductible? A. Yes, pet transport costs are considered a moving expense. Q. My Pet is very nervous and has never been in a crate. What should I do? A. We recommend getting the pet crate ahead of your move to allow your pet time to get accustomed to it. Q. 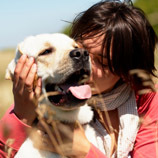 Can I sedate my Pet for transport? A. NO! The airlines do not accept sedated Pets. There are over the counter products available. We suggest trying them several times ahead of travel to see how your Pet reacts to them. Q. Does AnimalsAway.com deliver Puppies or other purchased Pets? A. The majority of Pets that we move are for those who are relocating. Internationally we ship many Puppies, Kittens etc. for many breeders. Domestically Pet transport services rarely seem to fit into the budget of a Pet purchase. Please see our Pet Scam Warning – if you are adopting a Pet. Q. Does Animals Away accept payment by C.O.D? A. Never, if someone claims that we do, please contact us. Q. Should I feed my Pet the day of travel? A. We advise our clients not to feed food, within 8 hours of travel. Your Pet will always be offered water. We will get the shortest travel time available. Q. Can I use a wire or all metal crate for my pets transport? A. No, must be a plastic crate with a metal gate that has wing nuts and bolts together. No clip together crates are accepted by airlines. Q. Can my Pets travel in the same carrier/crate together? A. No, each pet must be in his or her own separate crate for transport. Q. What types of Pets does Animals Away move? A. 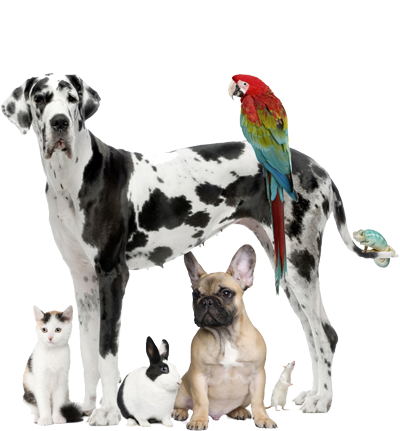 The majority of pets that we move are Dogs, Cats, Birds and other small pets such as Ferrets, Hamsters, Guinea pigs etc. We can handle any type of pet move anywhere in the world contact us for more information on our services. Q. What is the least expensive way or cheapest way to move my pet? A. Call major airlines, ask them how to go about moving a pet. Try to take your pet as excess baggage. Q. Can I travel on the same flight as my pet? A. Yes, but you will have to call the airlines and book your seats with them. We only move Pets, and can not guarantee passenger space on board. Q. Can I ship my pets food, food bowl, water bowl, toys etc with my pet? A. No, a medium size zip lock bag with food can be taped to the top of the crate. All other accessories must be shipped separately ie: UPS, FEDEX, DHL, or U.S. postal service. Q. I want to move my pet on my own. What are the requirements and what do I need for my pets entry to a particular country? A. Please do not contact us for this type of information. We are a pet relocation service. We do not provide specific requirements for entry to specific countries, nor do we provide flight details such as airlines, flight numbers and things of that nature as enforced by the TSA. 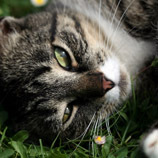 If you choose to have Animals Away move your pet, we will provide all specifics and answer all questions you have in regards to your move upon booking with us. A basic overview of travel requirements can be found on our services page. Q. How long in advance would I need to contact Animals Away to set up my pets transportation arrangements? A. Depends on your specific move. For most domestic moves, at least seven days prior to your move, but in general the more time the better especially for international moves. Some countries require certain blood work documentation that takes up to six months to prepare, so you can avoid quarantine. Be sure to call way ahead of time for any International pet transport. Q. Can I use my own crate/kennel for my pets travel? A. Yes, as long as you have a travel approved crate/kennel that your pet can stand up and turn around in without slouching. Plastic with a metal gate that are sold at pet stores and should like these @ http://animalsaway.wpengine.com/crates-kennels/. Some International travel requires that we provide brand new crates if we are handling your pets relocation. This is only certain countries- specified by the (TSA) NOTE- Must not be collapsible… No nylabone kennel! We use Vari brand but any other brand that has the same dimensions and is travel approved, would be fine NO wire kennels can be used.